Your journey starts in Chicago where you will begin the 2,206-mile journey to Seattle aboard Amtrak's legendary Empire Builder. 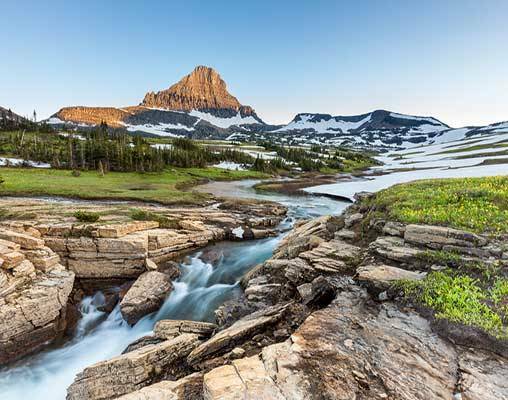 On the way, stop at breathtaking Glacier National Park, where you will have two days to take in the gorgeous landscape of this famous National Park. 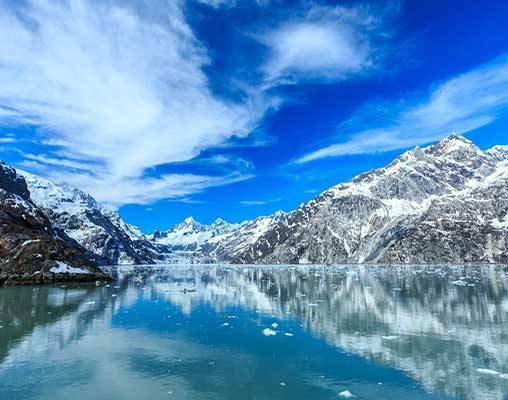 Continue the journey to Seattle, where you will set sail aboard the ms Eurodam to cruise along Alaska's Inside Passage, completing your incredible vacation. Arrive in Chicago and check into your centrally-located hotel. Spend the day exploring Chicago on a hop-on/hop-off trolley tour, and see all the famous sites including the Magnificent Mile, Navy Pier, and the John Hancock Observatory. Tonight enjoy some local cuisine like a famous Chicago-style deep dish pizza. Overnight Chicago. Today embark on an inclusive tour of Glacier National Park that starts with a morning drive over Marias Pass, with wildlife viewing at Goat Lick and a stop at the historic Izaak Walton Inn. After an optional lunch at Lake McDonald Lodge, tour the grand cedar and hemlock forests that lie within the Lake McDonald Valley. Ascend to the high alpine region of the Going-to-the-Sun Road at Logan Pass and down into the St. Mary Valley, stopping at the Wild Goose Island overlook for another incredible photo opportunity. Your excursion concludes with grand vistas of grassland, prairie, and mountains as you arrive back at Glacier Park Lodge. Overnight Glacier National Park. *Travelers on the June departure, will enjoy the Old North Trail tour in lieu of the Big Sky Circle tour. Highlights include Two Medicine Valley, the majestic peaks of the St. Mary Valley, and an awe-inspiring ride into the Swiftcurrent Valley. 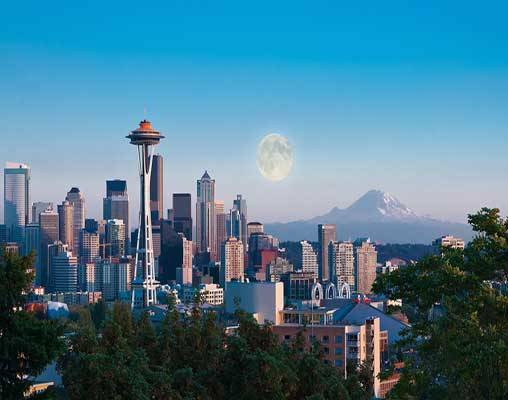 Today, you'll experience the best of Seattle on a comprehensive hop-on hop-off tour. This fascinating trolley tour stops at the iconic sites like the Space Needle, Pike Place Market, and Chinatown. This afternoon, grab a cup of joe at one of the many coffee shops. Seattleites drink more coffee than any other American city, so caffeinating is the perfect way to blend in. Tonight, dine in one of Seattle's distinct neighborhoods, like quirky Fremont or upscale Queen Anne. Overnight Seattle. 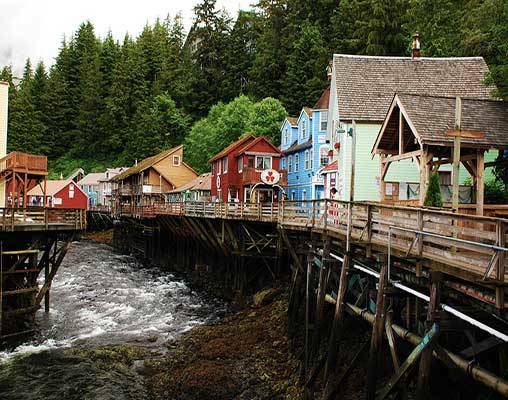 Known as the "Salmon Capital of the World" and home to the world's largest collection of totem poles, Ketchikan is the southernmost city in Alaska and today's port of call. 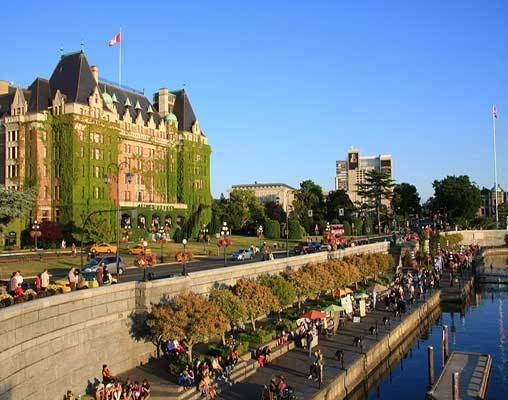 Appreciate the town's sights and attractions with a self-guided walking tour. Include a visit to Creek Street, a wooden boardwalk featuring museums, galleries, restaurants, and favorite local shops. Hotels include the Palmer House Hilton, Glacier Park Lodge, and Sheraton. Amtrak accommodations include a Roomette, all meals on the train, and exclusive access to the Pacific Parlour Car. Upgrade to Bedroom sleeping accommodations is available for an additional fee. Travel aboard the ms Eurodam is in an Inside Stateroom including two lower beds that convert 1 Queen-size bed and a shower. Hotels include the Palmer House Hilton, Glacier Park Lodge, and Sheraton. Amtrak accommodations include a Roomette, all meals on the train, and exclusive access to the Pacific Parlour Car. Upgrade to Bedroom sleeping accommodations is available for an additional fee. Travel aboard the ms Eurodam is in an Oceanview Stateroom including two lower beds convertible to one Queen-size bed, bathtub, and shower. Hotels include the Palmer House Hilton, Glacier Park Lodge, and Sheraton. Amtrak accommodations include a Roomette, all meals on the train, and exclusive access to the Pacific Parlour Car. Upgrade to Bedroom sleeping accommodations is available for an additional fee. Travel aboard the ms Eurodam is in a Verandah Stateroom including two beds convertible to one Queen-size bed, whirlpool bath and shower, sitting area, private verandah, and floor-to-ceiling windows. Click here to view testimonials for Empire Builder - Glacier National Park & Alaska Cruise. I was very satisfied with the service and support I received. My booking agent and the staff did a great job for me as they did with my cross-Canada rail adventure in 2016. I am looking forward to working with this team again to set up my rail trip in 2018. 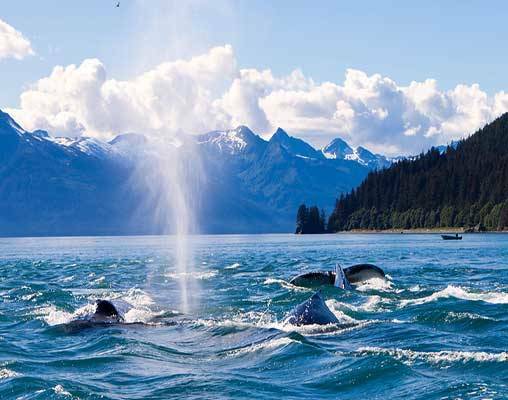 Enter your details below if you would like to be notified when 2020 dates and prices are available for Empire Builder - Glacier National Park & Alaska Cruise. Hotel and Rail accommodations listed above, are subject to change based on availability at the time of booking. Prices are land-only, per person based on double occupancy. Prices are are correct at the time of this web page being published; yet, are subject to confirmation at time of booking. Port taxes of up to $230 for 2018 departures and $250 for 2019 departures are not included. All port taxes and fees are subject to change, and will be applied at the time of booking. Valid Passport and proper documentation is required for this trip. Please be advised that passengers traveling on Empire Builder Trains may encounter delays of approximately three to six hours due to heavy congestion, speed restrictions and other operating conditions. Holland America reserves the right to re-instate a fuel supplement for all guests at up to $9 per person, per day should the price of light sweet crude oil according to the NYMEX increase above $70 per barrel. 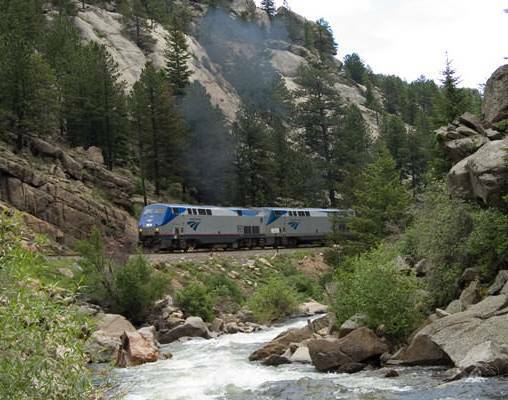 Vacations By Rail can supply connecting rail from your closest Amtrak Station.